Every wild seafood supply chain begins with a producer (the fisher) and terminates with an end buyer, who sells to a consumer. End buyers include retail outlets (from locally owned fish markets to national supermarket chains), restaurants, and foodservice establishments, such as hotels, hospitals, and schools. In artisanal fisheries, it is not uncommon for fishers to bypass the supply chain completely and sell their catch directly to consumers on the beach or door-to-door within the community. However, for seafood sold into more formal markets, supply chains can consist of any number or combination of mid-chain players (e.g., aggregators, primary processors, traders, wholesalers, dealers, secondary processors, distributors, transporters), who transform, package, and move product from the point of production to the final sale. Generally speaking, the more mid-chain players present, the greater the complexity of the supply chain, the greater the risk of losing data and story, and the greater the possibility of fraud. However, shorter supply chains don’t necessarily equate with more trustworthy data. For instance, in a very short supply chain where one processor aggregates catch from dozens of fishers and then sells to two retailers, the process of tracing each product back to the source is impossible without a system for segregating and labeling product from every producer. The following section identifies common supply chain attributes that are typically present within artisanal fisheries, and which relate to the ways product and product-level information flow, how mid-chain players function within certain seafood supply chains, and the motivations that drive certain practices. Identifying which attributes may be present in a supply chain can help hone strategies for how to effectively promote and incentivize more responsible fishing practices, better data capture and tracking, and better storytelling around product origin. The degree to which a product is differentiated within a supply chain is, perhaps, the most informative attribute for determining the potential to influence that chain with respect to sustainability. At one end of the differentiated spectrum are commodities, which lack differentiation. These are high-volume products aggregated from many sources, and for which all of the individual units—be they whole fish, filets, or value-add products—are considered identical, regardless of how, where, when, or by whom they were produced or harvested. Purchasing decisions are driven first by price, and then by decisions regarding quality, with little consideration about sustainability (though see noted exceptions below). Supply chains that handle commodity products typically move processed product that can be frozen and thawed and refrozen multiple times as it travels through multiple players operating in multiple countries around the globe. Increasingly, one step within these supplies chains involves a routing through China, where processing (e.g., filleting, breading) often occurs before product is then re-exported. Commodity chains are not structured to track information about product origin, nor do they recognize source fisheries that adopt sustainable management regimes or practices. Instead, sustainable product sold into a commodity chain is comingled with unsustainable product. Many high-volume fisheries feed into commodity supply chains, but some of the most common include salmon, cod (and other types of whitefish), tuna, anchovies, and crab. With the growth of sustainable seafood certification programs, however, some commodity-type products now have an element of differentiation. Such is the case with McDonald’s MSC-certified white fish products. High volume and interchangeable, these supply chains provide segregation of the product so that it can be traced back to specific certified fisheries. At the other end of the product spectrum are differentiated products, which are distinguishable from one another based on specific information, including harvest location, fishing method, fisher or fishing community, certification status, and brand. In general, purchasing decisions by supply chain actors are driven either first by quality and then price, or at least equally by these two features, as opposed to the clearly price-driven decision-making that occurs with commodity products. Individual fish: typically high-value species that may be individually tagged with unique codes, and include tuna, lobster, salmon, and snapper. The supply chains that handle differentiated products need more sophisticated data management and traceability systems to track and verify the information associated with the unit of differentiation. Differentiated product supply chains can serve local, regional, or export markets. In general, the fewer the steps between harvest and when the product is in its final form and labeled, the easier it is to keep the story paired with the fish. There are no set rules regarding whether a product qualifies as differentiated or commodity. For example, a vessel may unload a single catch that contains individual fish with different features. As opposed to sending the entire lot into a commodity channel, a middleman or processor may grade the product according to size, quality, or some other attribute for which the market is willing to pay a premium. Thus, the catch itself is coarsely differentiated, and then individual products may end up as commodities or differentiated products, depending on the market’s demand for distinguishing information. The process can become even more complicated when product from one fishery travels through multiple supply chains based on buyer demand. In a lobster fishery, for example, MSC certified product might wind up as a premium good in a specialized grocery store, or can be sold as a commodity through a chain that delivers product to a chain restaurant. In the latter case, what was once a differentiated product becomes mixed into a commodity chain, where distinguishing features are then lost. Some supply chains are driven by brands that dictate product specifications and other protocols that producers, processors, distributors, and end-buyers must follow. This influential brand can affect local, regional, national, or international supply chains. In most cases, the influence is top-down, coming from an end-buyer (e.g., Whole Foods), a value-added processor (e.g., Wild Planet), a broker (e.g., CleanFish), or a certification standards setter (e.g., MSC). In other instances a brand created by or in collaboration with fishers will create bottom-up influence over the supply chain, as is seen with some traceability companies (e.g., ThisFish), NGOs (e.g., Gulf Wild), or even fishing cooperatives (e.g., Alaska Gold). The specifications required by the brand may be based on location, quality, sustainability criteria, or other attributes that distinguish the brand in the marketplace. As such, establishing systems to ensure that the branded product is differentiated from unbranded product (i.e., some mid-chain players may be involved with processing and distributing multiple types of branded and unbranded products) is of utmost importance. It is not uncommon for brands to look to mid-chain players that can serve multiple supply chain roles (e.g., processor/distributor), and in some cases brands will purchase fish directly from producers and perform the processing and packaging themselves in order to maintain close control and further protect brand integrity. Each player within the supply chain has a direct or indirect relationship with the brand and in some cases the brand is the exclusive market channel through which product from specific producers flows. Depending on the mission of the brand and ability to access key decision makers, it is possible to influence an entire supply chain by working with a brand to incorporate sustainability criteria into their product specifications. Relationships within the seafood industry typically are long lasting and built on trust, especially relationships between fishers and their buyers (e.g., middlemen, first-receivers). Within some artisanal fisheries, those relationships tend to be both business and personal in nature. For example, a middleman that buys from a fisher may also provide loans for fuel and ice, and may even have financed his boat. Often, the middleman is a member of the fisher’s family. And while some fishers may feel comfortable with that type of dependent relationship or may be fortunate to have a charitable buyer, others can become trapped. Even further up the supply chain, the power dynamics of the seller-buyer relationship can skew quite easily, especially if the buyer begins to exploit the seller’s vulnerable position (holding spoiling inventory) or limited market access (see Attribute 5: Bottleneck). However, to the extent that trading partner relationships are healthy, and the product can be differentiated to some degree, supply chains containing such close ties might be among the most flexible and potentially open to implementing changes that could benefit the long-term sustainability of a fishery—both in terms of the resource and the people and businesses involved. In situations where trading-partner relationships are weak or acrimonious, the supply chain will be very difficult to influence directly. 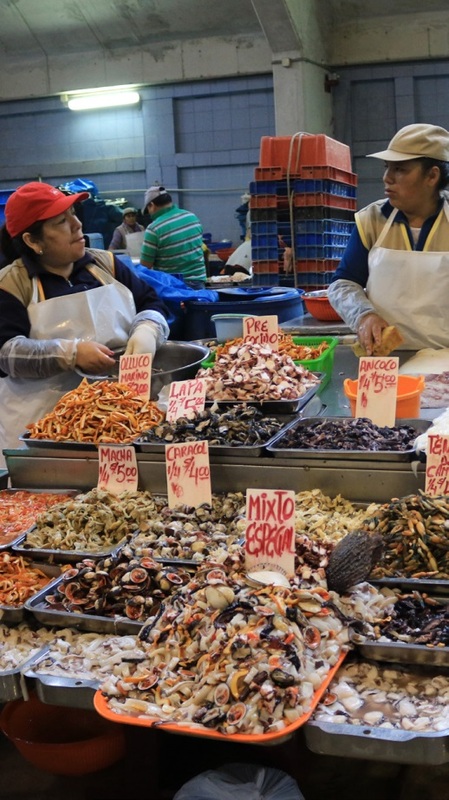 Many seafood supply chains are vertically integrated. All supply chain functions fall under single company ownership, with one actor controlling most major steps in the supply chain, from fishing activities until the product is sold to the end buyer, or even to the consumer. When necessary, additional product may also be sourced from independent fishers. Such vertical integration provides a company with guaranteed access to product landed by its vessels, protects the company from ex-vessel price volatility, and allows for close quality and inventory control. Large corporations tend to exhibit this feature most, moving fresh and frozen products around the globe, although consolidation can be found in fisheries serving smaller local markets as well. For sustainably minded companies, vertical integration greatly expedites the implementation of better management or fishing practices—all that is needed is a top-down directive. For companies motivated solely by profit or that do not recognize the importance of sustainable management, vertical integration can create a barrier to change. On the other end of the spectrum are supply chains in which every function is performed by an independent entity, each working to make a profit. Short supply chains (2-3 players) or those focused on differentiated or local product can work quite efficiently and may be able to be motivated around a common and mutually beneficial goal related to sustainability. However, for chains focused on commodity products or for those that are significantly longer (5-10 nodes, for example), that level of collaboration may prove more challenging. In general, as a supply chain lengthens, the margins get slimmer, and players become motivated to do whatever is necessary to cut costs (including, at times, committing fraud), as their customer (each player down the chain) is always looking to pay the lowest price possible. Many remote, artisanal fisheries involve a large number of fishermen selling to a few middlemen who hold the supply-chain relationships. These middlemen create a bottleneck for fishers, restricting direct access to the market. Depending on the type of product and location of the fishery, there may be a series of middleman-aggregators that comingle product for a single processor or distributor serving a domestic or international market; or there may be a single middleman-processor-exporter that buys from all local fishermen and is the gateway for foreign companies to gain access to artisanal product. (Often the processors hold the export licenses). The existence of such bottlenecks limits the power fishers have to negotiate on price. The ability to influence fisher behavior with respect to sustainable management hinges on being able to leverage the power held by the middleman, which requires convincing him (or her) that sustainable practices are aligned with his business needs. In the case of Fishery Improvement Projects (FIPs), that is often done in partnership with a major domestic or foreign buyer who can promise better market share or premium prices in return for better management or fishing practices. Some fishers have more choice when it comes to where and to whom they sell their fish. They may be nearer to the end market, with options of bypassing the middleman and selling direct. Or they may have a highly demanded product, with multiple potential buyers bidding up the price. When it comes to influencing fishing practices toward sustainability, these fishers may be easily motivated, especially with the possibility of a new market channel. Beyond simply describing the common characteristics that exist within seafood supply chains, these attributes also begin to highlight how engagements with supply chain actors may be struck in order to incentivize fishery management-relevant changes. Understanding who holds the power, where sustainability has already taken root, and how relatively easy it might be to introduce new concepts or practices into the supply chain are all important considerations when looking for inroads to influence supply chains. Learn more about common challenges in fishery supply chains. The information in this section was provided by Future of Fish. For more information please contact Future of Fish.